There are also fingerprints on the plate, and they need removing, as they will become permanent if left on their own. When it comes to brass and watches, there is one rule: don’t touch! Nice looking bottom plate. 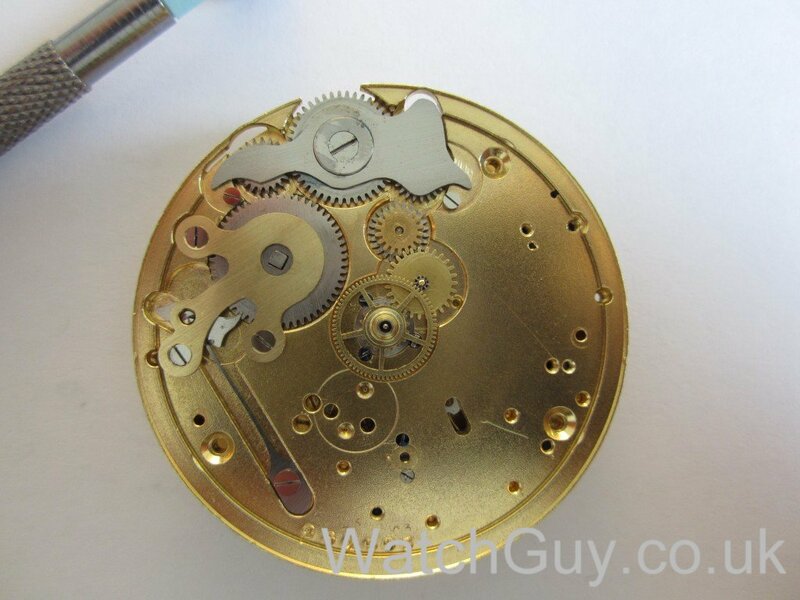 No wire springs, nicely made movement. 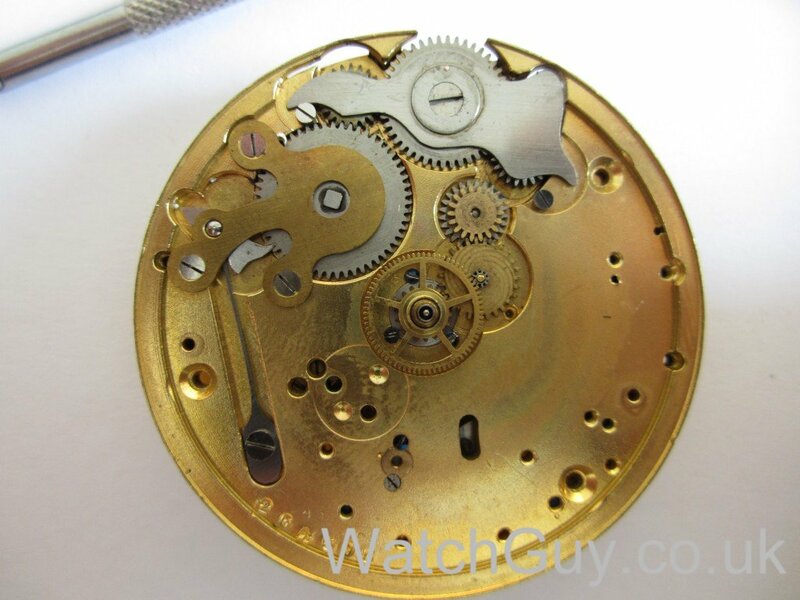 The hairspring is in good shape – the only problem is dirt and lubrication. Coming out of the watch cleaning machine, all looks nice and shiny. 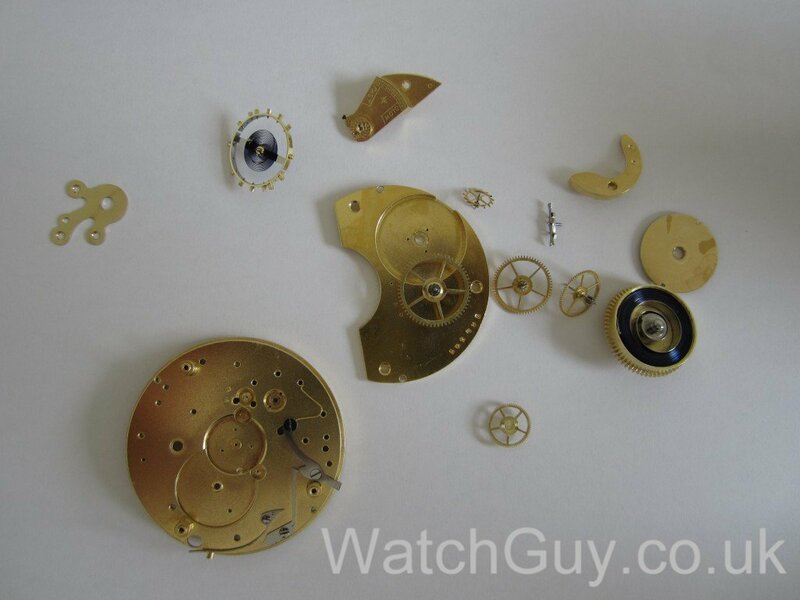 Time for reassembly. I’m using latex finger gloves to protect the brass. One touch with your bare hands, and you have a fingerprint. 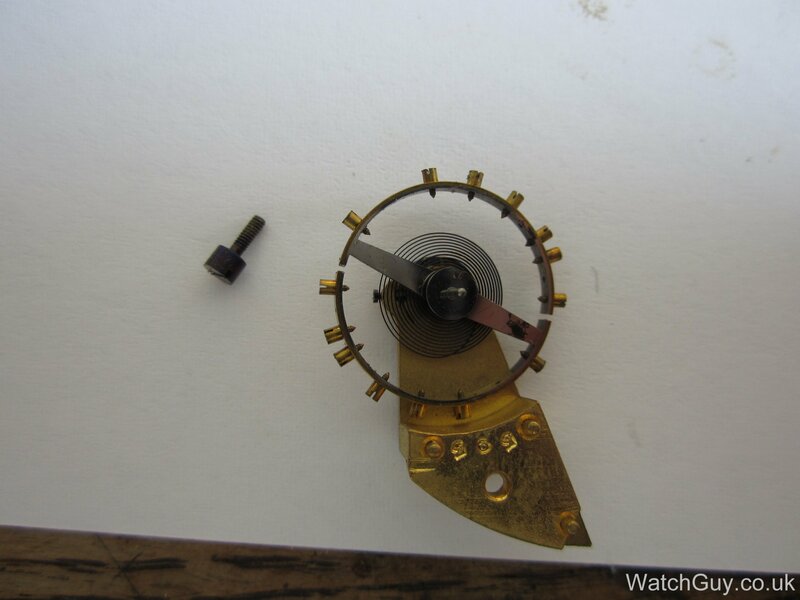 Just at 6 o’clock on top of my thumb, the little wire that goes around the balance wheel to stop the balance for the hacking second feature. The bottom plate looks beautiful, too. 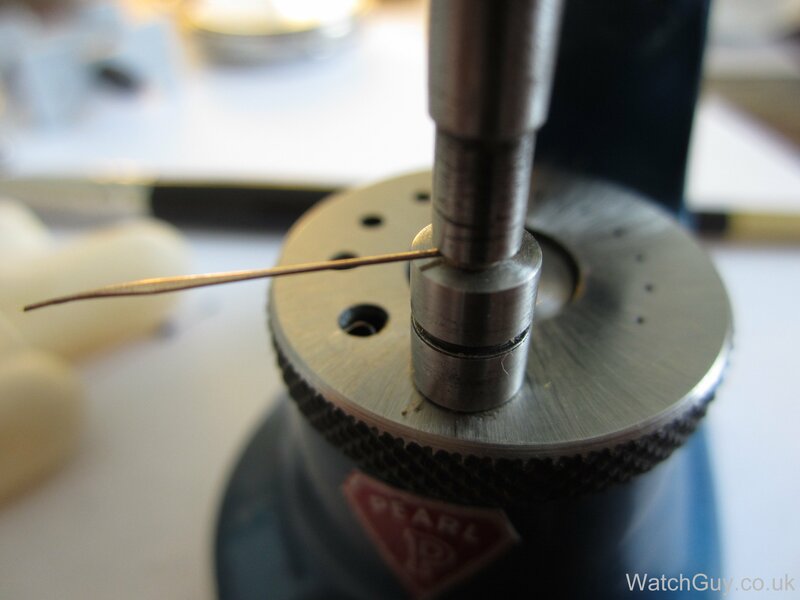 The minute hand is a bit too loose, so I tighten it with the staking set. 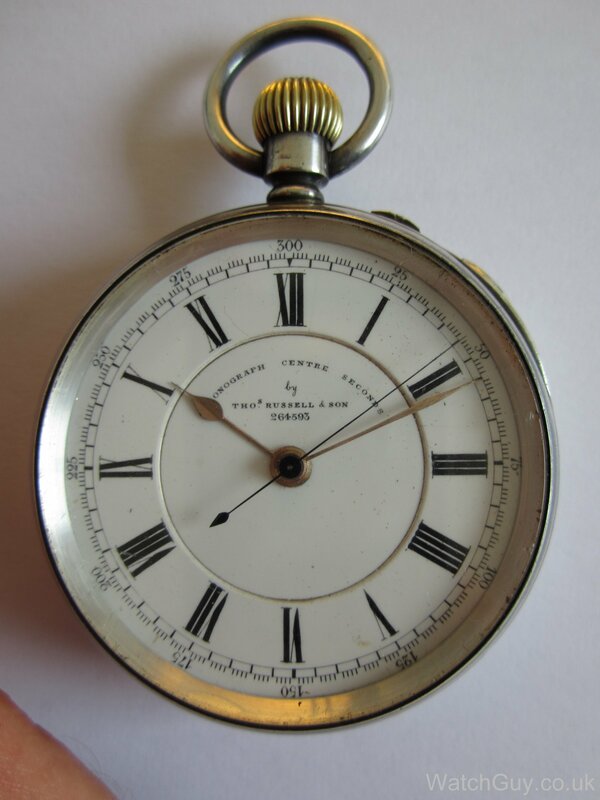 Lovely watch, definitely not your run-of-the-mill granddad pocket watch. 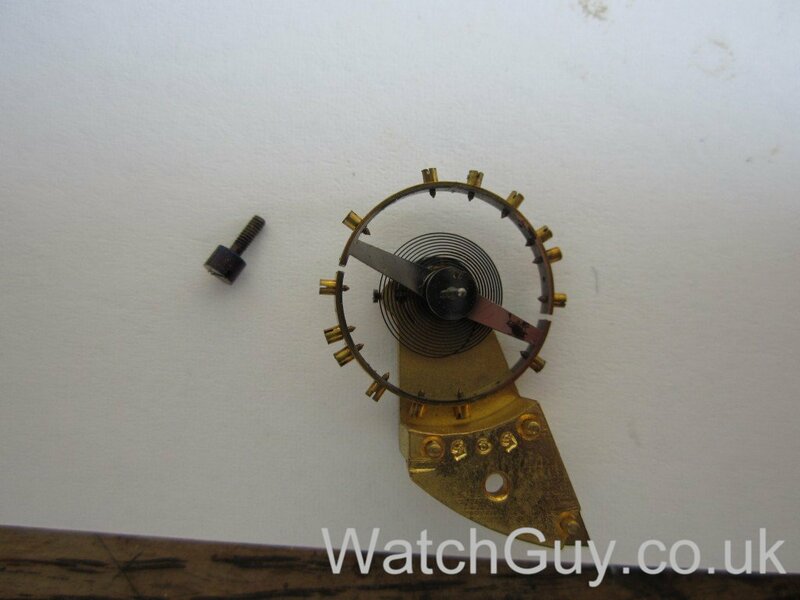 This is meant to be a precision instrument, and it has the looks of it. 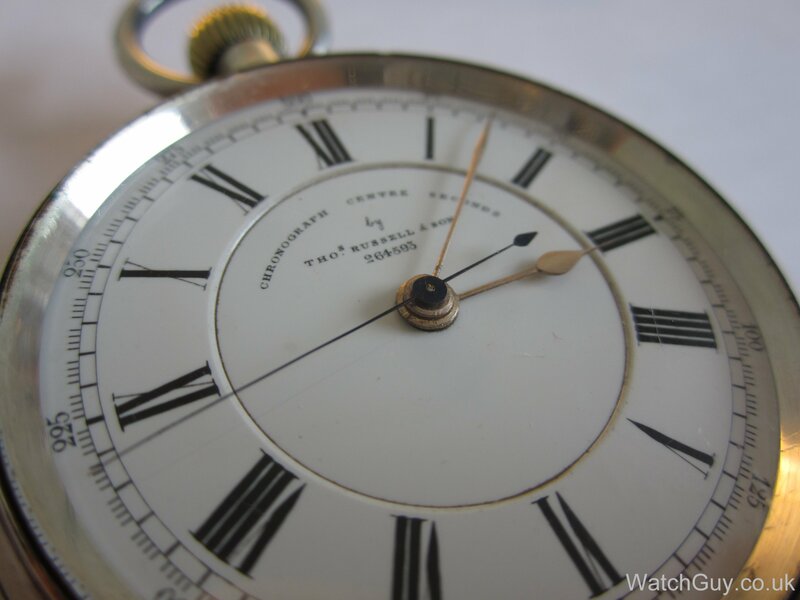 This entry was posted in British, Pocket Watches, Service by Christian. Bookmark the permalink. 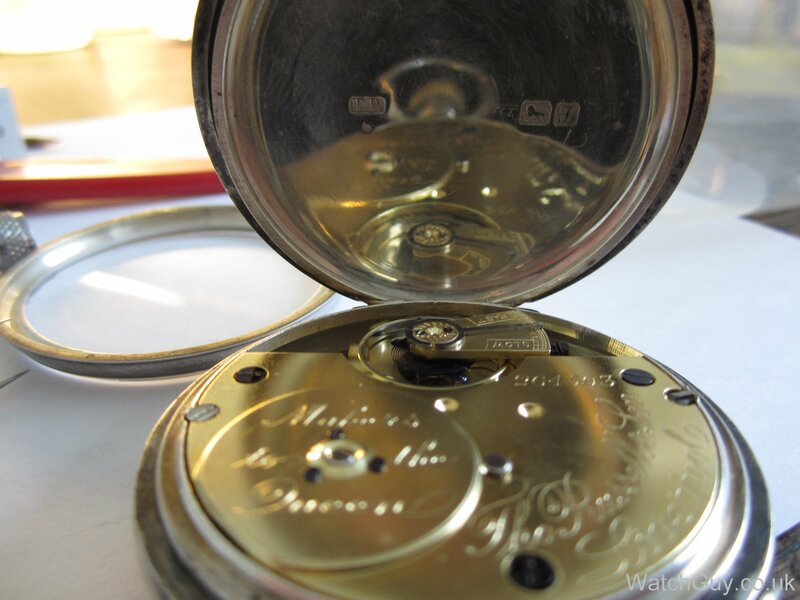 What do you use to clean your pocket watches? And also i have a Thomas Russell which the shaft on Balance Wheel broke, and possibly Mainspring gone. Is it hard to get parts? How interesting! I have the same watch in hand right now with a serial number just 78 units earlier. 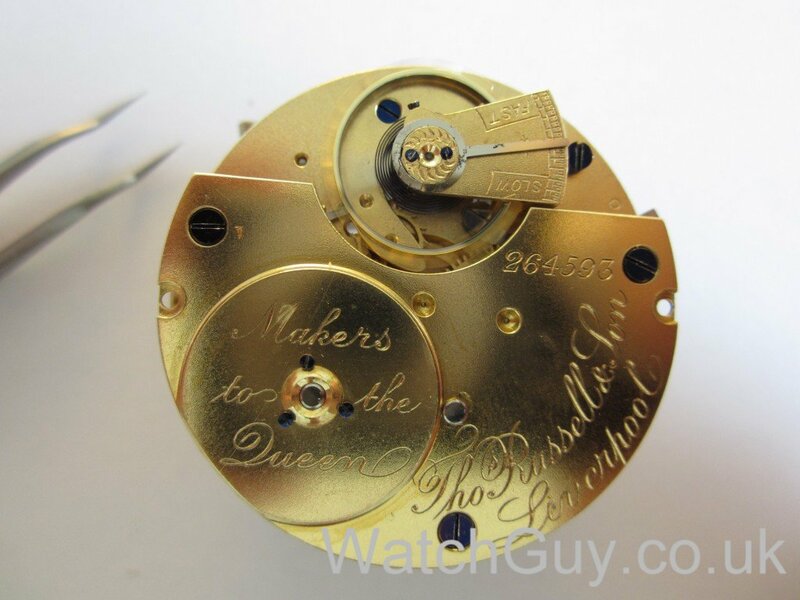 This is in a Dennison 10ct gold plated case and is immaculate. I’ve been playing with the hacking feature while trying to confirm the date. 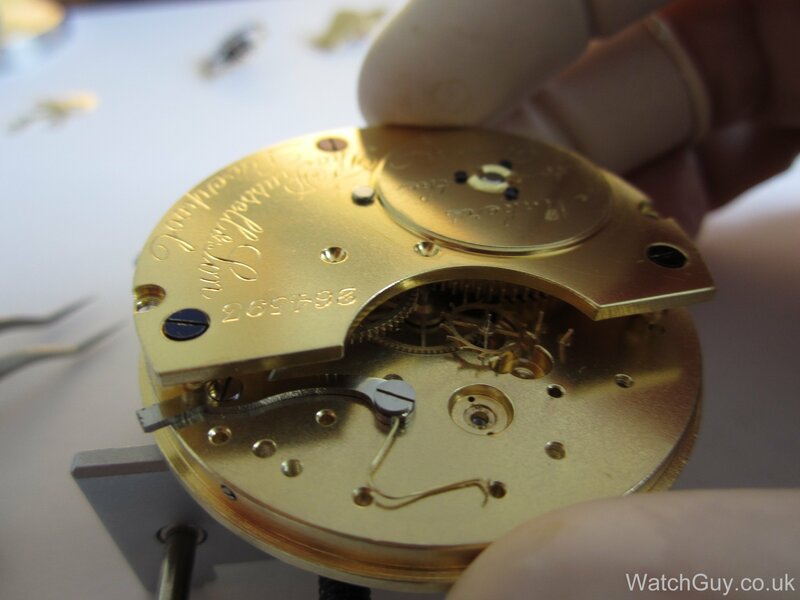 Lovely watch & very interesting to see the stages/process of stripping, cleaning and reassembling. Wow! 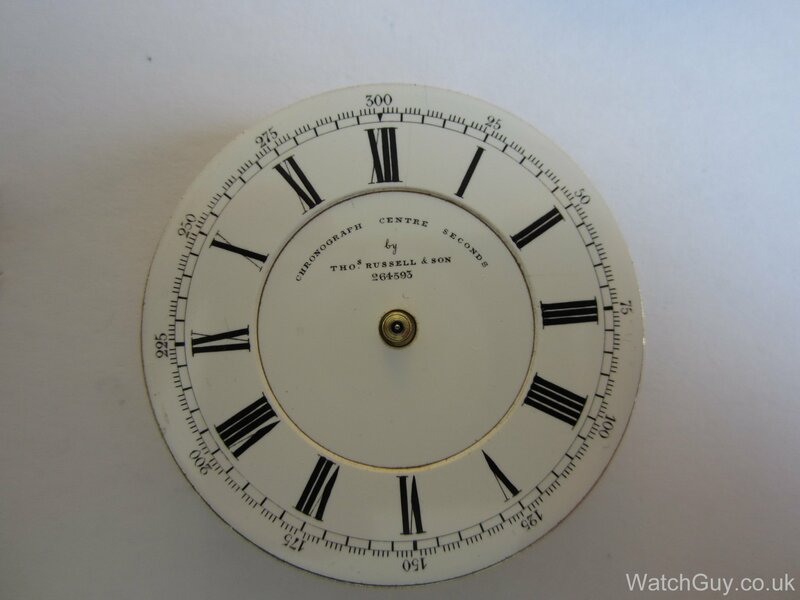 Any help, advice you can give as to value and if it is worth getting fixed/serviced etc, I’d be really grateful! I am afraid I don’t do valuations. 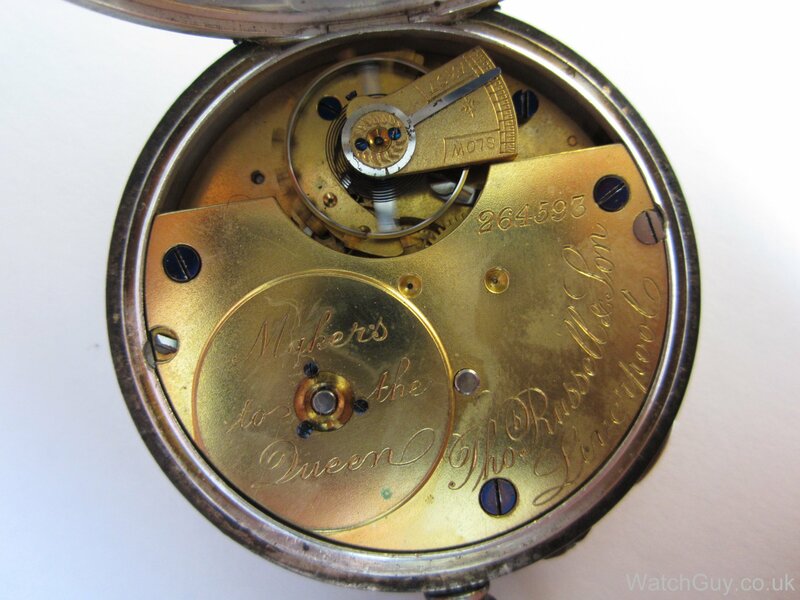 Best show it to a couple of jewellers. How do you adjust time on the pocket watch?